Travel is meant to transport you — to other places, obviously, but also sometimes to other times, other worlds, other possibilities. 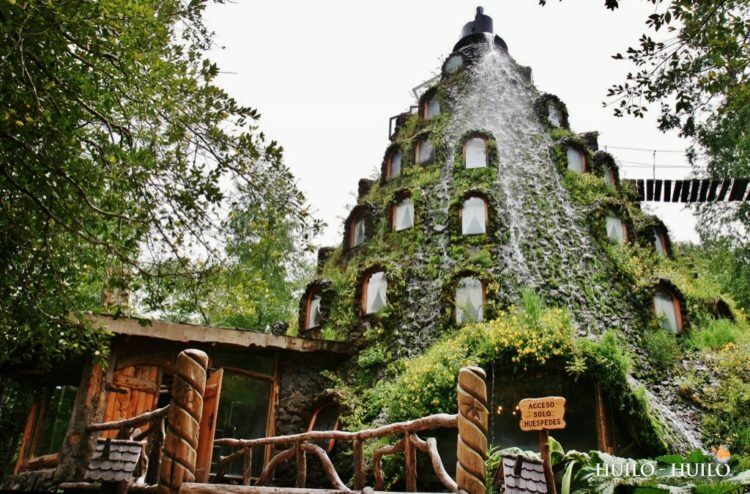 These four utterly unique hotels are full of the magic, mystery, and wonder that travel embodies. These are places you might never want to leave! The Ice Hotel® in Jukkasjärvi, Sweden, is a gorgeous, temporary palace of ice, located north of the Arctic Circle. Each year, the hotel commissions artists to create original masterwork rooms using snow and ice. 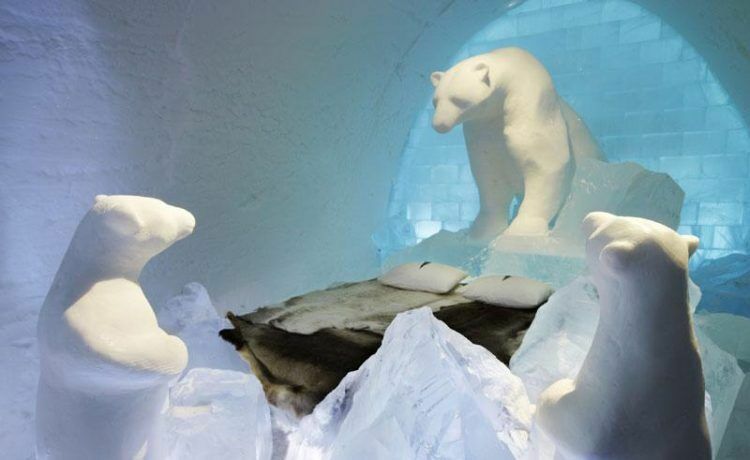 Giant sculptures and huge vaulted rooms of carved snow surround fur-covered beds. Each room serves as a canvas for designers from all over the world. Get married in a church made entirely of ice, or spend a night watching the breathtaking aurora borealis from your room. But don’t wait too long: each Spring, the Ice Hotel® disappears. 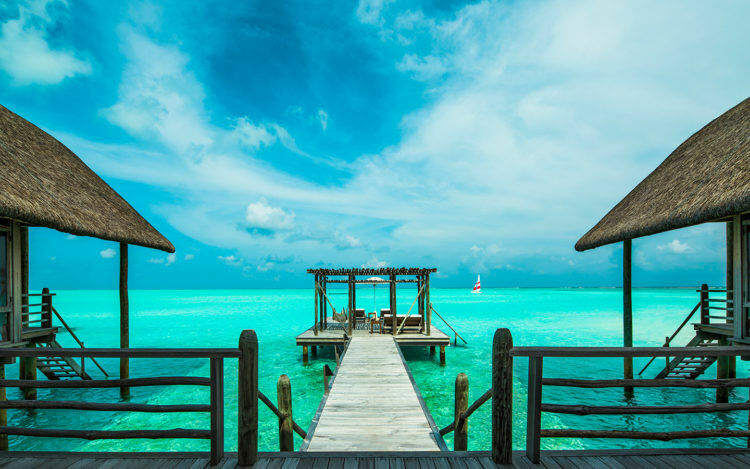 If cold weather isn’t your thing and you’re more into sandy beaches and mind-blowingly clear waters, then your dream resort might just be Cocoa Island by COMO in the Maldives. This is a private island resort with 33 “overwater” suites. What that means is that you can literally walk out the door of your private villa and just slip into a warm turquoise lagoon for a swim. Each room has a personal terrace, with a view out onto the sea and of the sugar-white beaches nearby. 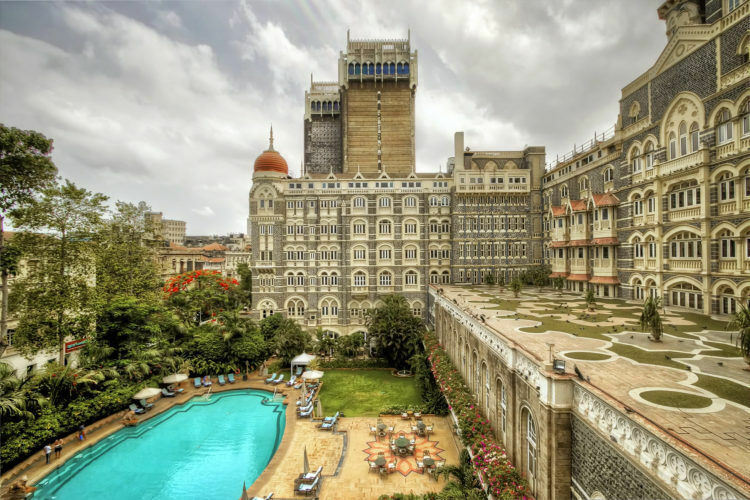 Indulge in the holistic wellness treatments at the spa, take an incredible diving tour, and enjoy top-tier food prepared with a nod to the South Indian culinary influences. What kind of places do you like to stay? 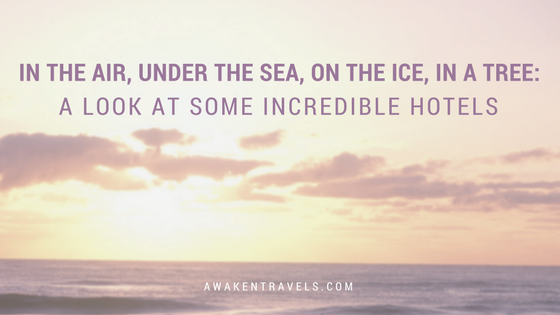 If you’re looking for a one-of-a-kind resort or hotel, I can help find a place that will totally transport you, for an experience you’ll remember forever! If you’re ready to dive in, you can get in touch with me by clicking here.